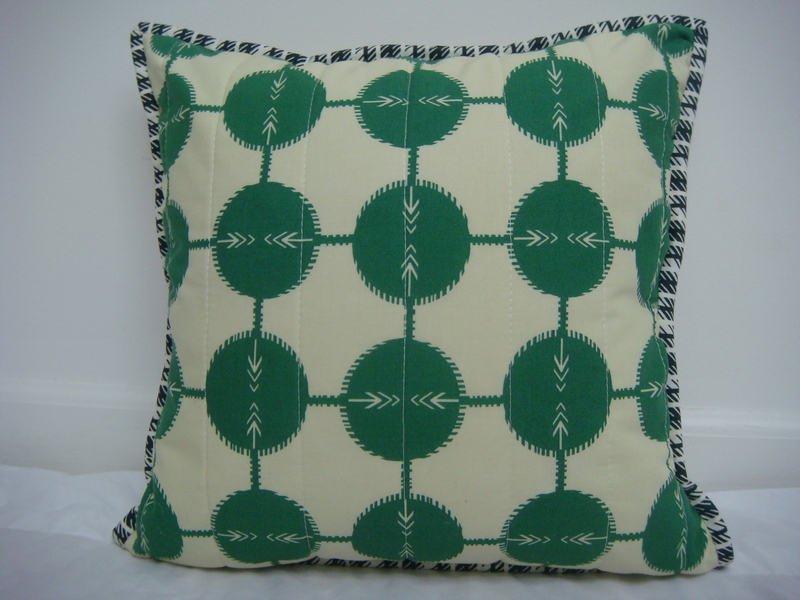 This entry was posted in Uncategorized and tagged Anna Maria Horner, Machine paper piecing, Noodle-head divided basket, Pillows, Straight-line quilting. Bookmark the permalink. CUTE!! The gnome is adorable! The scribble fabric you used for his beard worked PERFECTLY for it!! lol And the fabric basket is super cute!! Nice job!! Another fabulous basket. Pine…. I shall just have to get on and make one, but I’ve got so much else on! I really love your fabric choice for this one. How cute they both are. The fabric you used for the gnomes beard is perfect for a beard. The pants fabric is wonderful for his pants. Sweet! Merry Christmas to you and yours. So cute. I love the fabrics for your basket. 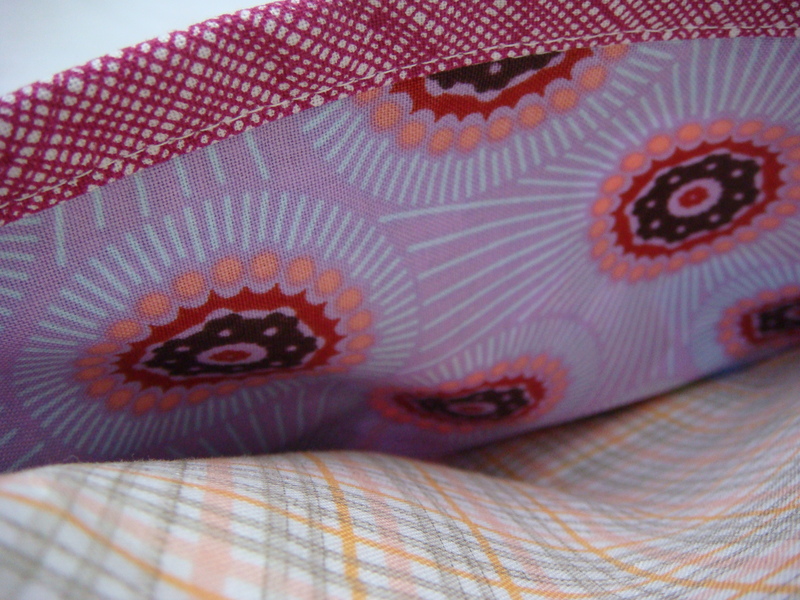 The ability to really let the prints sing is always a favourite part of seeing bags and baskets and such. What great finishes! I love the gnome’s beard and the fabrics you used for the divided basket! So so so cute. I definitely use the 4 stitch length – to be done earlier 🙂 Your back is da bomb. Great fabric choices, lady. I love that pillow. We should do a pillow swap. HEEEEEY. Your gnome is so, so cute! I love gnomes and yours is awesome! What a great idea for a pillow. Another great basket you have made. I just have to get that pattern and make some, yours are so pretty. Very cute pillow! 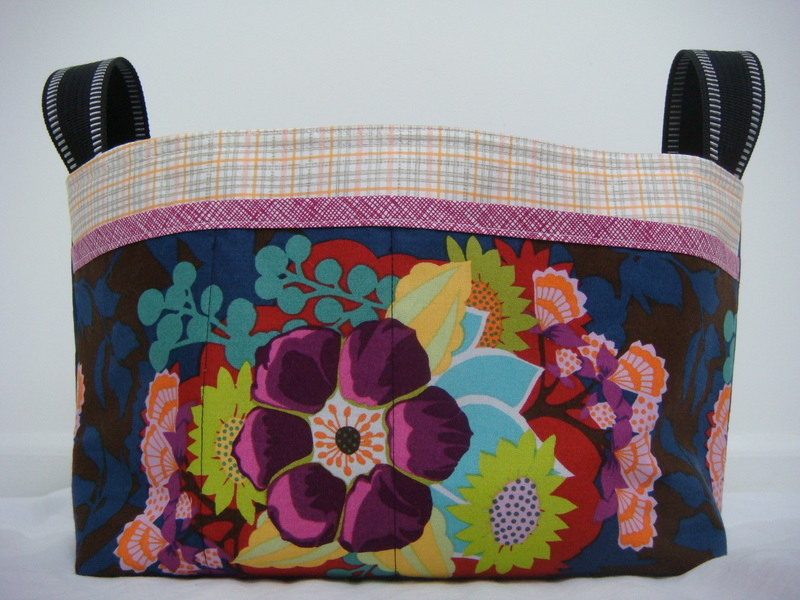 Love the fabrics you chose for the basket! Love the gnome! It’s great that you didn’t use any solids, you’re braver than I am. I always lean on solids for paper piecing. I actually used that same print from Julianna Horner in pink for the bottom part just like you did (but it wasn’t in the picture I posted). Great minds think alike! Love love that divided basket. You’re on a roll! I love the gnome…but that handled basket is so great! The fabric is perfect. I love, love, love the gnome pillow and am putting him on my to do list along with the basket (just bought the pattern). I feel like I should just come to your house and make everything you do as everything is always so beautiful and the fabrics so gorgeous! Will finish my first quilt soon, thanks for teaching me to love a new “hobby”. Merry Christmas Sarah! Oh I love the gnome pillow! I can’t wait for this pattern to become available. My son-in-law would just love this! Love how the gnome turned out! Perfect fabrics – he looks just great! 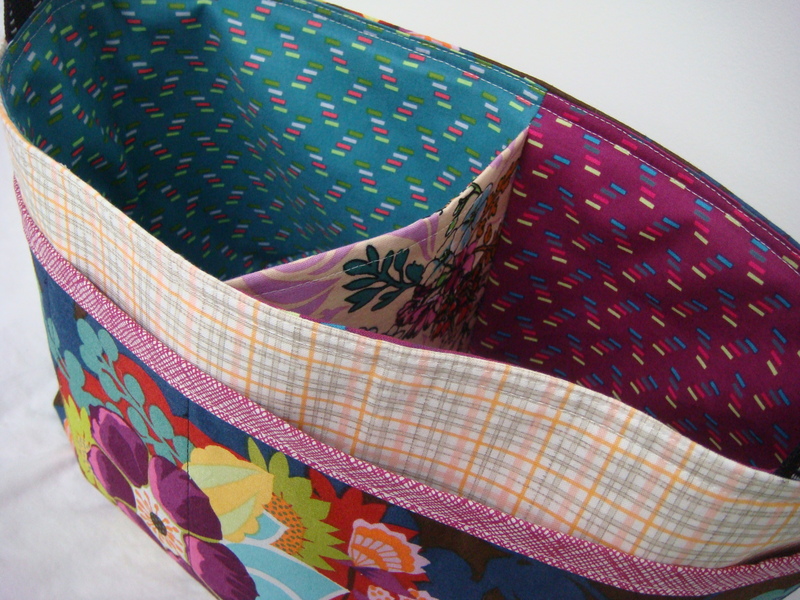 Fab idea for the divided basket – love that you did different fabrics for the pockets. That gnome is precious and SO well done!!! 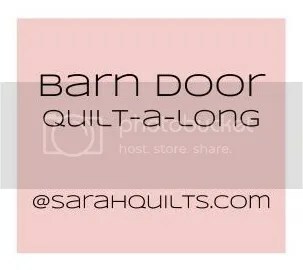 Check out Nicole at Mama Love Quilts – she’s got some good straight line quilting tips, too. “See” you in the New Year! Love your little gnome pillow! 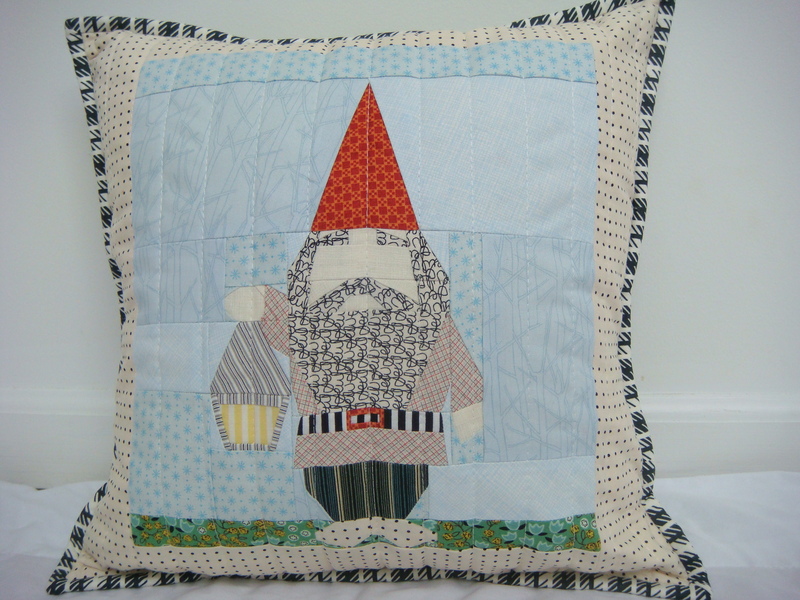 That looks great, especially the beard on the gnome – perfect use for that Sew Sew Sew print! That AMH print is perfect for this — it looks great with that big print. the “sew” script print is perfect for your gnome’s beard! very cute. hope you had a merry chrismas! I’m obsessed with this gnome pillow. It is so awesome. I hope you had a wonderful Christmas! The gnome looks fantastic! I love the scrappy sky/background. Love love LOVEEE the gnome! Impossibly cute! !